Seems like one network forgot about a new deal between the URCC and ABS-CBN Sports. Since the start of August, rival sports network Solar Sports has been reairing classic URCC matches back when they still had the TV rights. Titled ‘URCC: Bakbakan Na’, it airs every Saturday night at 10:00 p.m. It can be recalled that in April 2016, the URCC and ABS-CBN Sports inked a partnership deal that will see the latter air the former’s events on ABS-CBN Sports+Action in HD, SD and live stream. According to the said press release, ABS-CBN claimed that they were the ‘official’ broadcast partner of the URCC. 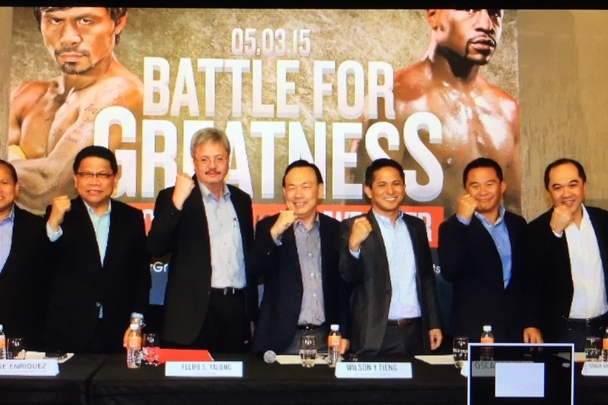 The press release did not clarify if ABS-CBN’s deal with the URCC is an exclusive one. In the event that it was non-exclusive, other networks may enter the picture, and since there was no explanation, Solar Sports was able to reenter the picture by airing classic URCC bouts. Let’s face it, had ABS-CBN branded its URCC broadcasts as ‘exclusive’, this confusion would have never happened in the first place. The former’s deal was not bad, but whatever benefits they will have by airing the URCC would be negated by another network’s continued broadcast of the said promotion’s old matches. That said, the URCC needs to have the rights to every televised bout that once aired on other networks, not the other way around. That way, any highlight of it can be seen on the channel (in this case ABS-CBN Sports) with which they have the rights right now. Perhaps this situation needs to be addressed by URCC founder Alvin Aguilar, ABS-CBN Sports head Dino Laurena, and Solar Entertainment head Wilson Tieng in order to avoid any further complications. After all, the URCC deserves nothing more than a good, clean fight, and a stable partnership with the network they are currently paired with. Hopefully it is for the best that they solve this issue immediately. This one is for the fans of mixed martial arts in the Philippines, and a good product is a must for the URCC to succeed. Two cable channels are now fighting for the right to air ‘Heroes Reborn’. Jack TV – 11:00 a.m.
FOX Philippines – 11:35 a.m.
‘Heroes Reborn’ is a 13-episode miniseries that picks up from where the original series ‘Heroes’ left off. In the U.S., the mini-series will air on NBC, the same home network as the original. The original ‘Heroes’ first saw the light of day in the Philippines when it was aired on RPN-9 via its Prime Shift and C/S 9 branding. The series ran from 2006 to 2010 and spanned four seasons. Just recently, all episodes of the original ‘Heroes’ were re-aired on FOX Philippines, who also intend to air ‘Heroes Reborn’. However, Jack TV, a former sister station of RPN-9, also made their own case on the upcoming miniseries, and as a result, a bidding war began between the two networks. The program rights battle between Solar Entertainment and FOX International Channels is no longer new. There have been instances of one program being aired on each of the company’s channels; for example, Jack TV and FOX Philippines have the rights to ‘The Simpsons’ and ‘Family Guy’, among other programs, with the difference being that the former airs the current season and the latter the previous seasons. That said, it’s hard to fathom the fact that two cable networks will premiere the same program at almost the same time. It is also confusing, because the viewers will find it hard to choose which channel to watch. Perhaps the time has come for Solar’s Wilson Tieng and FOX International’s Jude Turcuato to settle this issue once and for all. The similarities between the two outfits should not go a little too far by airing the same program almost simultaneously, so they have to figure out a way to differentiate themselves according to content. Let’s just hope that they work out a deal in the near future. After all, this is for the best interests of the viewer.